Hi, guys! 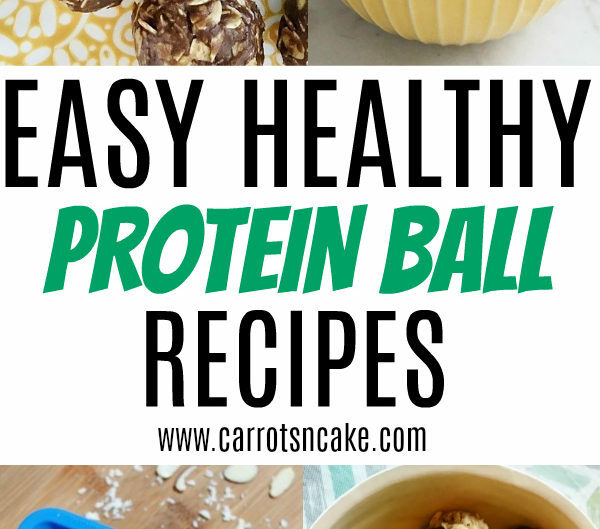 You know I am ALL about the protein balls, and we almost always have a batch in our fridge. They’re just the perfect protein-packed snack to keep the hangry away, if you know what I mean! 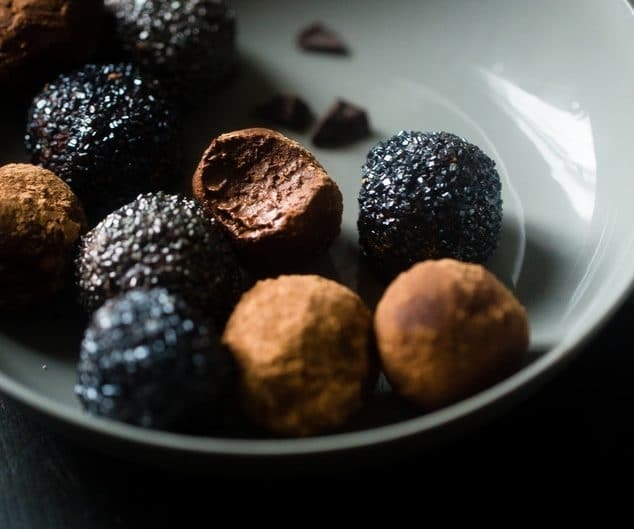 Today’s recipe is almost always the foundation of my protein balls. I use this same ingredient combo and measurements again and again as the base, but I often switch up the variety of nut butter, flavor of protein powder, and other “optional” ingredients, so they’re rarely the same thing twice. 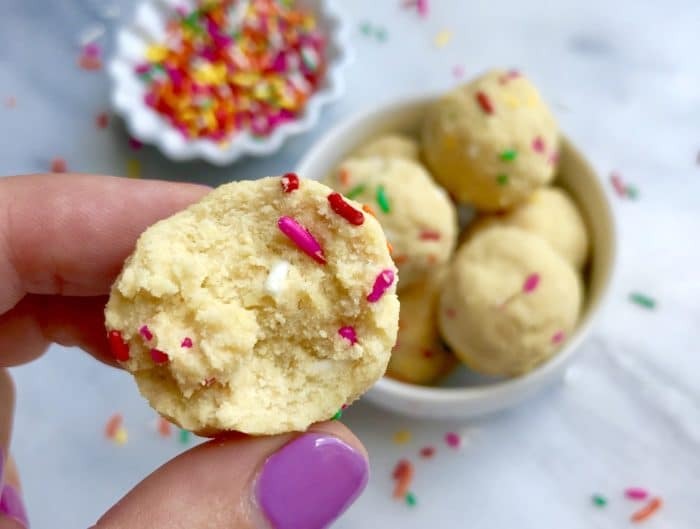 This also means that you can make these protein balls nut-free, dairy-free, or gluten-free! 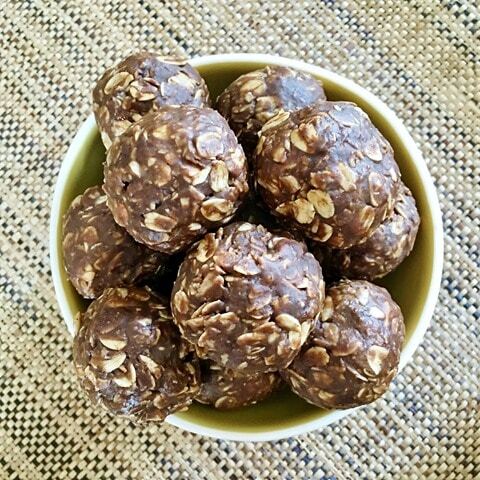 They’re so easy to make and always turn out well – it might just be the only protein ball recipe you ever need! I hope you enjoy it! Optional: Spices (cinnamon, nutmeg), sea salt, vanilla (or other flavor) extracts, mini chocolate chips, etc. Combine ingredients in a mixing bowl until all of the protein powder is fully absorbed. The batter might seem a little dry, but just keep mixing. Then, roll the batter into 12 balls. Store in an airtight container with lid in the refrigerator. I’ve been meaning to make some balls lately and these are so simple. Love how you only need a few ingredients on hand! Thanks for the protein balls it’s looks sweet and handy too. Yum! 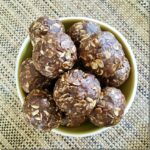 I love protein balls and cannot stop myself from eating them one after another when their in my fridge! Such a great, easy, on the go snack! I love that I already have all the ingredients ready for these! Going to make these for long road trips this summer so I don’t resort to gas station stop snacks. Yum! How many calories/protein are in these? Protein balls are a family favorite in my house. Though I’ve never added protein powder. My combination of choice is crushed pistachio and dried cranberries! Definitely trying this bc 1) I love anything that involves nut butter and 2) it’s so simple! I feel like when I usually see these recipes they call for 1-3 really random ingredients that I wouldn’t normally have on hand. Thanks for sharing!! You’ve made these sound so simple to make, I’ll have to give them a go! These look extra chocolatey! Must be the protein powder you used? Do you ever add chia or flax? If so, how much? I do sometimes! 🙂 Usually 1-2 teaspoons, but the amount is totally customizeable! 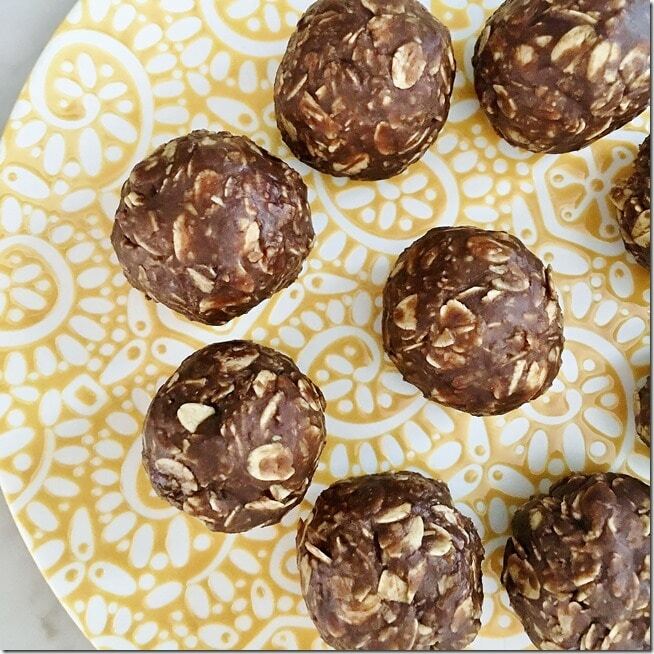 @Hillary Gras: Every time I make protein balls I add chia, sometimes I also add ground flax! If you add chia by itself, add about 1 1/2 tbsp, if you add both, use 1 tbsp of each! 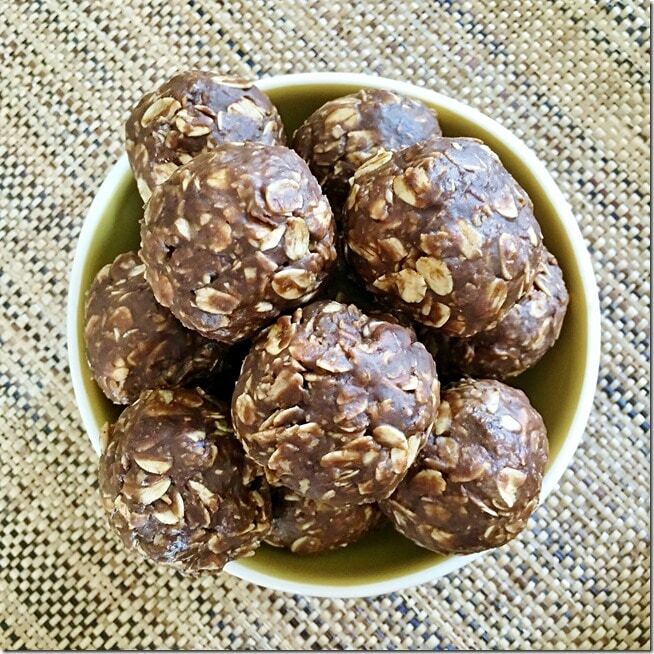 These look great, I love protein balls for an on the go snack/sweet treat. The ingredients remind me of no-bake oatmeal cookies. I used to devour those things as a kid..and honestly still would. Must try these! I have yet to make protein balls, but this looks like an easy first recipe to start with. Thanks for sharing! Oh man. They look so good! I seem to eat them WAY too fast when I make them lol My daughter just started volleyball (they’re practicing during the summer break! eek), so would be a great, easy snack for her! Thank you! I keep these on hand for my 13 month old as well. I just add banana or coconut flour instead of protein powder for him. These look really good! And I have been looking for a good protein ball recipe. I always buy these crazy expensive bars and that quickly adds up when I eat one a day so I def need to try to make my own! Wow, that looks delicious! I’m definitely going to have to try this recipe! Just made these with Quest Salted Caramel protein, a splash of vanilla bean paste, and a little extra sea salt. SOOOOO good. Thanks for sharing!!!!! I can’t wait to try these. Thanks for providing such a simple recipe. Those are the best! So gorgeous where you live. My brother lives in Scituate, and I am mesmerized whenever I go there!